If you want to upgrade your bathroom to a modern look, a frameless shower door is perfect for you. And if you still seek functionality and want to save space, consider a sliding shower door. Both of these will open up your space, giving it a modern look. Consider putting a window in your shower or bathroom if you have a view of nature. Or perhaps you could even put in a skylight. That will brighten up your space, make it look larger, and give a fresh feeling to your décor. A frameless shower door complements this look, especially if you put a window in the shower. 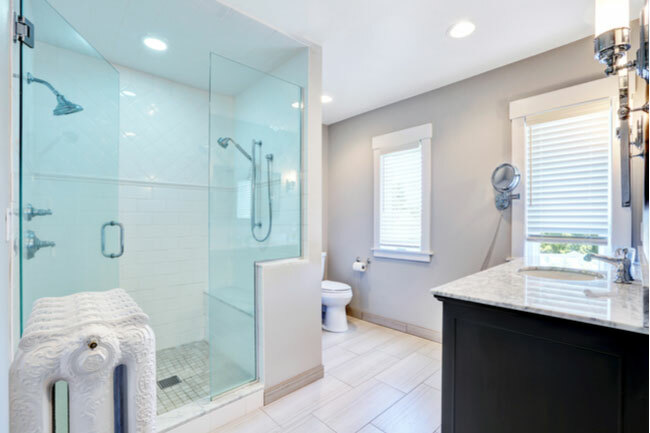 If you want a glass shower door to be the focal point, but you’re just not ready to give up your bathtub, think about a sliding shower door on a tub enclosure. This look will update the bathroom but still ensure ease of use for your whole family. If modern and sleek lacks the homey feeling you want, consider a framed shower door. You can use the frames on the shower to match the fixtures in your bathroom. You could even use tilework to show off your family’s personality and use the glass shower door as a way to open sight lines. 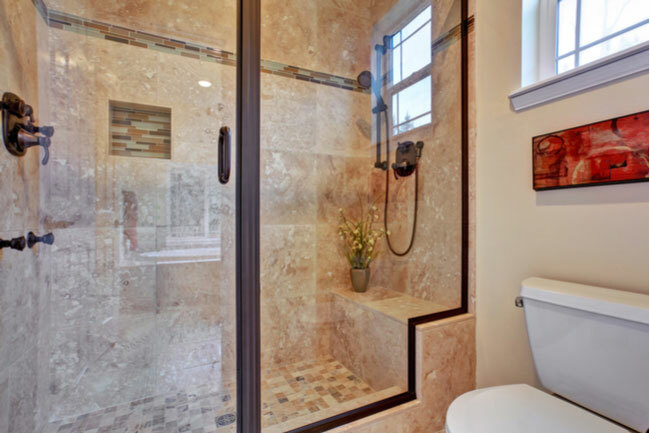 One of the best ways to make your glass shower door stand out is through a partial enclosure. They are modern, functional, and stylish. Or you could go with a unique looking shower door, such as bifold doors. These close in on themselves, which is a unique design element. At the same time, partial enclosures and bifold shower doors save and enlarge your space. If you’ve decided to put in a frameless shower door, you already have a modern looking bathroom. In order to take it to the next level of elegance, consider getting a big, frameless mirror. Both of these elements will make the bathroom look bright and beautiful. You could also add accent pieces to the rest of your bathroom. Once you choose a glass shower door, keep in mind the design of your fixtures and add accent pieces throughout the bathroom to tie the design together. Your shower design is important. Glass shower doors are versatile and can be used to fit into any style, so go ahead and have some fun choosing the “one” to become the focal point in your bathroom.